Miami recently recycled more than 6,700 pounds of computer hardware and accessories. The Student Success Center serves a wide variety of students, including: active military and veterans, commuter students, first-generation college students and students with dependent children. While scholarships and other aid programs may help with tuition and fees, prices for books, materials and the latest technology rack up, and for many students and their families, it can be overwhelming. A Miami program is working to chip away at the financial burden struggling students deal with on campus. The F5 Laptop Program (named for the F5 function key used to refresh a page) takes used university laptops and puts them into the hands of students for no out-of-pocket cost. The idea came in late 2017 when Jim Lipnickey (Miami '83), former director of regional technology services, raised a question. He had a stack of laptops headed to recycling and wanted to give them away. Lipnickey made a call to Kim Ernsting, director of Miami’s Student Success Center on the Oxford campus. “My response to him was, ‘We don’t have anything like that, but it is a good idea. Let me see what I can find out,’” Ernsting said. Handing out laptops with years’ worth of sensitive data raised security issues and legal concerns. To even consider the project, Miami’s security team had to guarantee a process that completely sanitized and reimaged the laptops before handing them off. “The next challenge was working with purchasing, establishing the licensing component and refurbishing them with a Miami notebook,” Ernsting said. The Center connected with Brick & Ivy Campus Store and developed a way to distribute free access keys. The code unlocks needed software, and once installed, the refurbished laptops run identical to those purchased new. The laptops are for students to keep, and they’re eligible for free repairs and replacement if they stop working. Since April 2018, 22 students have received laptops through the F5 program. It’s a simple process. Students fill out an online form, then meet with staff in the Student Success Center to determine need. In implementing the program, Miami wanted to ensure that the financial benefit of a free laptop (valued at $200-$300) wouldn’t impact a student’s financial aid package. Staff found that it typically doesn’t have a negative impact on student aid. Though technology access is crucial to a successful college experience, the program is about more than laptops. The requests serve as a way to route students toward other resources. “With the F5 program in particular, students have admitted that they don’t have adequate food access,” said Ashley Hopkins, senior assistant director of the Student Success Center. In a few cases, students are hungry and homeless. “That might be as extreme as sleeping in the library or their car, to couch surfing at a friend’s house,” Hopkins said. Students slip through the cracks because they either don’t know where to get assistance or they’re afraid to ask for it. Increased campus involvement will help build the laptop inventory so the center can accept more student referrals. Information technology is identifying usable machines through the recycling process, but so far, only a handful of departments have given to the program. 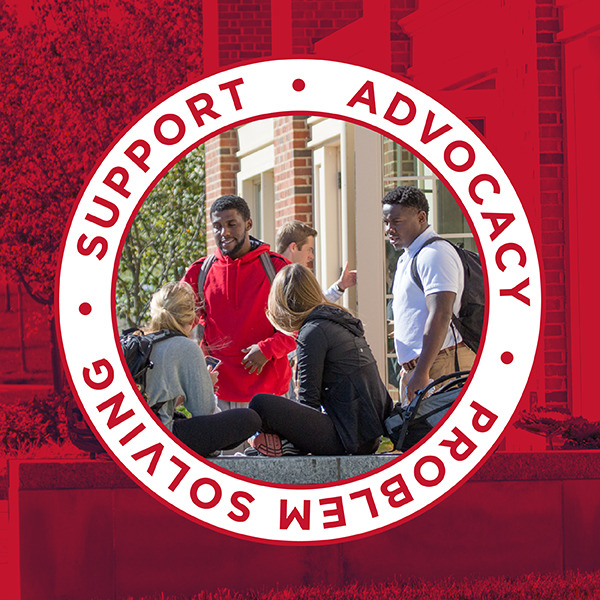 If your department or office would like to get involved with the F5 Laptop Program, contact the Student Success Center at studentsuccess@MiamiOH.edu. The F5 Laptop Program is available at Miami regionals, coordinated by the Tutoring and Learning Center. To contact the center, email tlcmuh@MiamiOH.edu. The Hamilton campus contact is Debbie Newman at 513-785-3139. For the Middletown campus, contact Rhonda Rose at 513-727-3440. Students can make a laptop request through the regionals form.